Last week’s entry here about smell maps kept me thinking for days of specific scents and the meaning that they have for me. I started a page in my note-book and soon had a list of fifteen or so. These are not just smells I recognise, they are scents that, when I smell them, have the power to transport me in time and space to a moment, a place, a feeling. I imagine everyone carries within them a little smell library that will work this same magic. In fact, I’m fairly sure the library is what Kate McLean was tapping into in her Paris exhibition. Everyone will have a different set of scents, of course. Even if you and I include the same smell in our libraries, the memories it conjures up will be unique to each of us. Scent memories are very personal. I spent so much time playing around in my scent library, I decided I really had to write this week’s article about some of them. To try to limit myself (you know how I can ramble on given half a chance) I decided to restrict myself to smells that have two attached memories. And because this blog is about travel, I have chosen three smells that link two completely different times and places. This is neither the scent of a fresh apple, just bitten, nor is it the true smell of apple blossom. It is the artificial apple scent that was a popular ingredient in shampoo in the seventies. A shampoo my sister and many girls her age used. I’m sure the chemists who created the scent wanted to imply apple. It’s certainly true that it is reminiscent of apple. But when I smell apple blossom or bite into a crisp green apple those scents spark no vivid memory. It’s only on the nowadays rare occasions that I pick up on just this created “apple” scent. But that’s when the magic works. I am fifteen or sixteen, drawn to girls but very self-conscious and awkward. I am sitting on the upper deck of a Brighton bus (I think it’s the number 2), behind a gang of girls giggling together in a cloud of Green Apple. One of the girls makes my heart turn over, but I can’t speak to her for fear of the others – or of how she would dismiss me. Nowadays the smell has a double exposure. Not only do I find myself aged 16 in a Brighton bus. I am also aged about 35 and in the audience at a performance by Jonas Gardell in Sundsvall’s Kulturmagasinet. Gardell has not yet reached his current Swedish “national treasure” status, but is already widely known for his books. As we don’t yet have a TV, I’ve never seen him before, but I’ve heard him on the radio and now I am delighting in my ability to follow his performance. My comprehension of spoken Swedish is better than I thought. 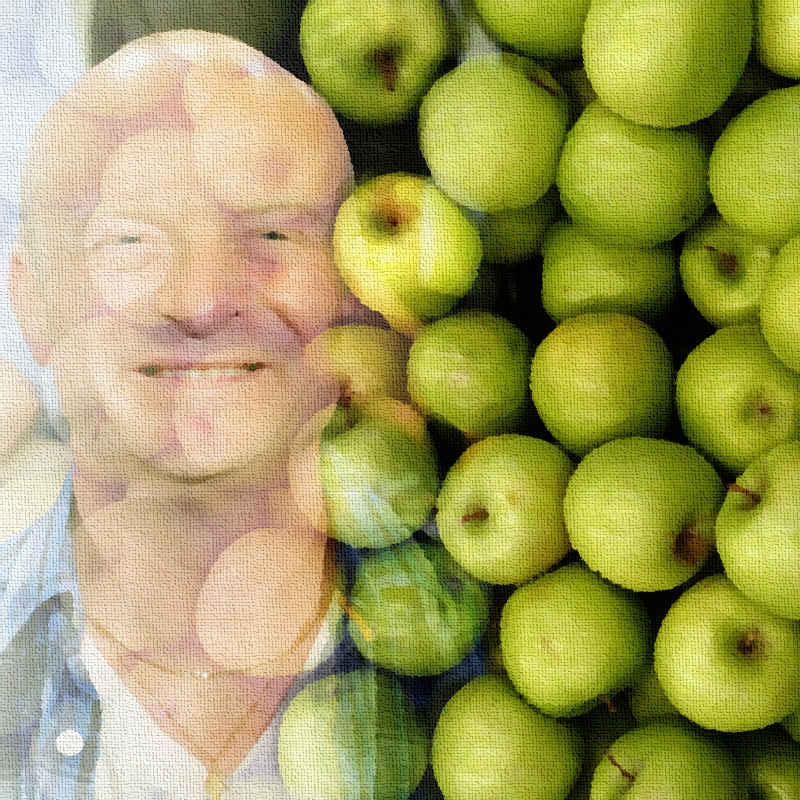 Gardell is reading from his notebooks, memories and ideas, stories and autobiographical snips, and suddenly he is talking about the scent of Green Apple. And there it is. I’m back in that damn bus again, but I’m also hearing Gardell’s voice – though I’ve no idea now what story he was telling or where the scent of Green Apple came into it. The interesting thing is that, the second time around, I didn’t need actually to smell the scent – just hearing it described was enough. About ten years ago now I was working at a school in Falköping, Ållebergsgymnasiet. We teachers started the school year with a “kick-off” that took place a few days before the school opened for the students. Many Swedish schools run something similar to help integrate new people and renew bonds between staff members. Perhaps it’s common elsewhere too. On this occasion we were bussed around the area (which is largely agricultural) and got to visit various nature sites and farms. 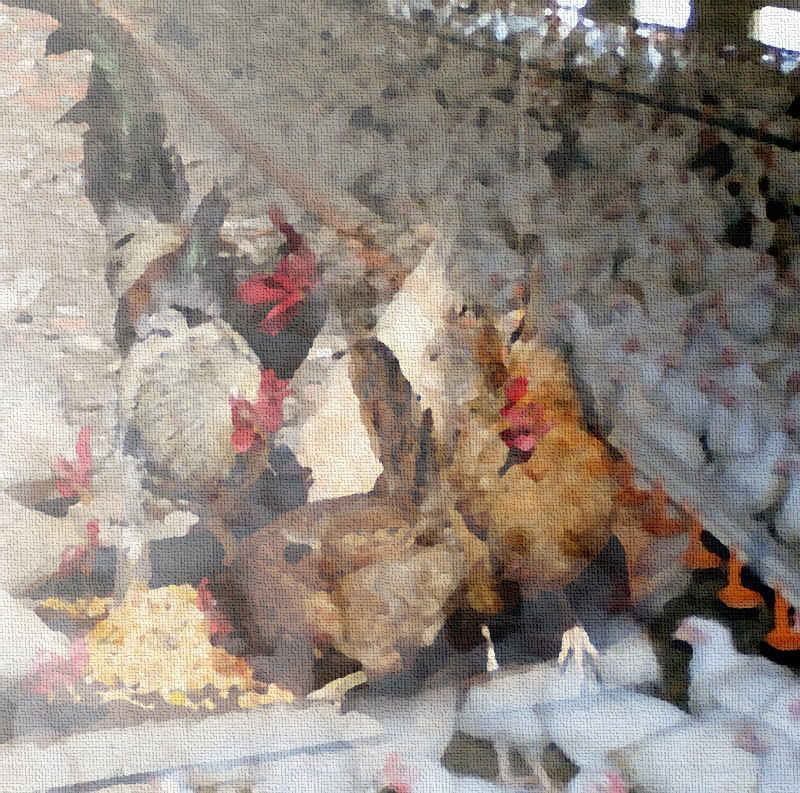 One of these was a farm for free range chickens – but free range in barns. It was not a delightful place. Although there was a lot of space overhead, the chickens were packed in together and filled the barn from one side to the other. I suppose it was a better option for them than cages, at least they could strut around and scratch the ground, but they were not outside. The smell was overwhelming. On two counts. First it was acrid, acid, eye watering and foul. But more than that, it was a smell I knew – had smelled before – though never as intensely. I had to leave the guided tour and get outside to breath and as I leaned up against the wall of the barn in the sunlight, I was no longer a 47-year-old teacher in rural Sweden. I was six years old in the back alley behind our house in Tema, Ghana in 1963. The alley ran between the windowless, whitewashed, breezeblock huts that housed the African “boys” – the young men who served the (mostly white) engineers and their families, of which mine was one. Most of the “boys” – who were actually in their twenties – were married and some had children. They kept chickens, that strutted and scratched and shat along the alley. And that was the smell and the memory that overwhelmed me suddenly in August 2005. These two memories are closer together in time, but link Finland and Yorkshire. It is 1984 and I am in the kitchen of our flat in Kouvola in south-eastern Finland. She who will eventually become Mrs SC is baking Mazarines. These Swedish cakes involve ground almonds and as we have to do everything properly, we are grinding the almonds in a manual grinder. (That’s my job.) I am stealing the occasional almond to sustain myself. I pick one from the small, separate bag. “Don’t!” she says. Too late. My mouth fills with the taste of bitter almond. And instantly I am five years younger, just out of Leeds University with a BA in English literature and History, but not sure what I want to do next. I’m still living in the city, working as a labourer in a steel fabricating company. Today and all this week I’m working in a team with a welder. He’s a young man, not much older than me. I’ve lost his name, but I can see his face now as clearly as if he sat opposite me. We are out of doors, erecting a fire escape for a convent of Dominican nuns. The parts have all been fabricated in our workshops in the railway arches near Leeds Station. We’ve brought up here to put together. So we’re putting the handrails up and my partner is arc welding the pieces together with me coming behind grinding down the excess. The smoke from the grinding process smells almost sweet, I think and I’m trying to place what I’m smelling. And back again five years later, the taste of a bitter almond in a Finnish kitchen brings back that week of work with sudden vividness. 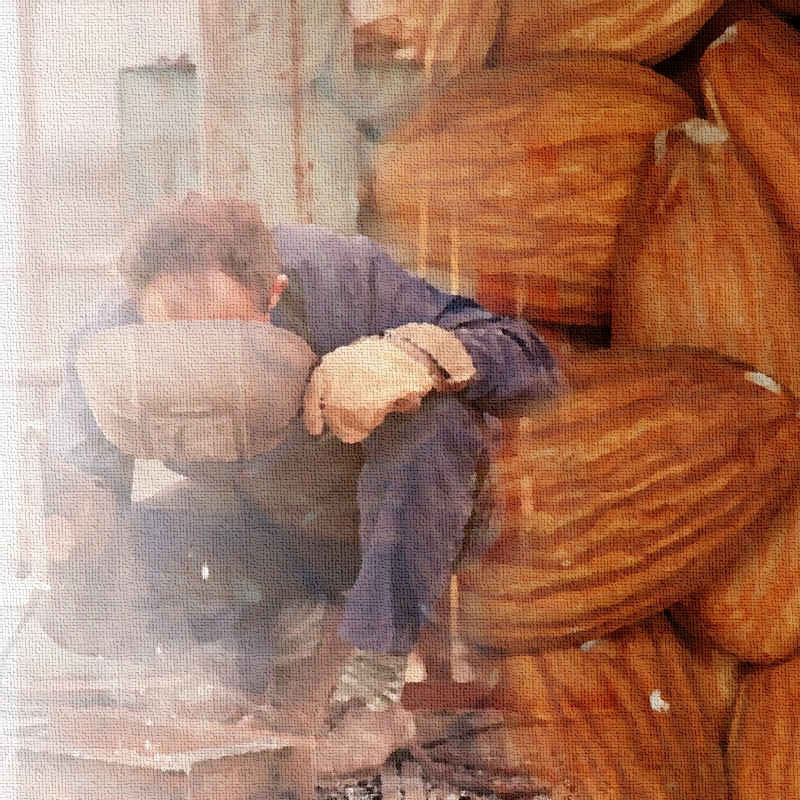 And ever since, the smell or taste of bitter almond reawakens both memories. So, those were my three scents. What are yours?